Aftermarket torsion bars will only be able to hold the vehicle higher than 'normal' if they resist twisting more than the std bars did, ie if they are heavier & therefore harsher in their ride; similarly the only way you can get std bars to hold it higher than it's normal static ride height is to wind the bars up - so whatever way you go when you look for lift just by playing with the torsion bars, you are likely to end up with stiffer/harsher suspension as a result! Got my tyres on finally. 265 75 16 KM2's, with 16 x 8 O offset Black Sunnies. Lifted the front again as well. Pretty happy with it overall, No scrubbing at all. I have recently bought a 2011 Ford Ranger Extracab 2.5 TDCI (4x4), with 55000kms. Can anyone confirm they will fit and work? Yeah mate that will work, you can even go to 265,70,16 on them. Good looking Ranger and those rims will make a big difference to the look . 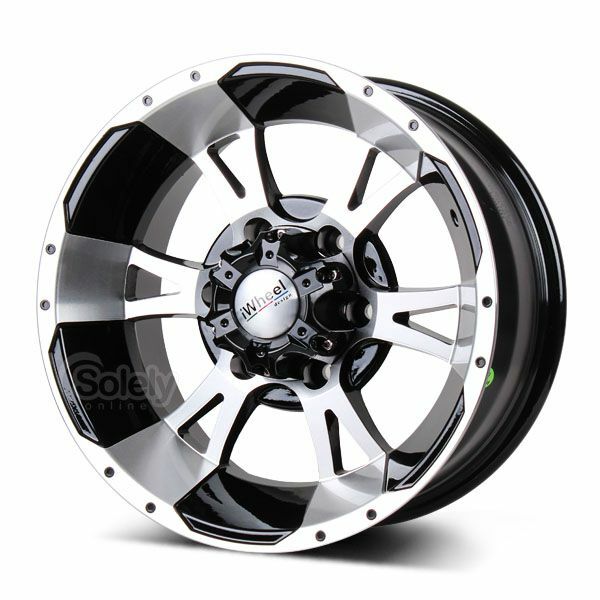 I am about to change wheels from 31x10,5R15 to 16. 31's are 0 offstet rims, no scrub at all, even before lift. My 16" rims are 7" and has -20 offset. I have EFS elite lift with cranked torsion bars. I planned to buy 235/85R16, but my wonder is if I can fit 265/75R16 with no scrub on this ET. I'd say you'll be fine with no scrub because a 265/75R16 is basically the same size 31x10.5R15. The offset being only -20mm should be minor. When I bought my truck the previous owner had on 265/75R16 on the stock rims and no lift and they were fine. I'm now running 285/75R16 on a 9" wide rim with -13mm offset. When I first had them on I cranked my torsions about 15mm with a 2" body lift (which is about 65mm of lift, the EFS kit on yours is around 30mm, correct me if I'm wrong) and there was minor rubbing on the back by the mudflap only at about 3/4 steering lock which an air saw dealt with quickly. Later I did crank the torsions another 18mm to get a more level look. So if in doubt do a small body lift as well, its not that difficult, took me and a friend an evening to do and there's a sweet write up on these forums about everything you'll need to do it. I'm still wondering on 235/85R16, do you think there will be a noticeable difference in range between 235/85 and 265/75? 235/85R16 is the same height as a 265/75R16. So the revolution per km is going to be the same. The 235 is just a much narrower tire. If you are curious about other sizes just check a tire size conversion website. And just try to visualise it with a measuring tape in hand. Full Ranger and Forum newbie, just picked up a 2010 XL Auto DualCab, have spent a day reading as much as I can on big tyre/auto issues, just wanted to get some updated opinions on my plan. Currently stock suspension, planning on fitting 16x8 Dynamics with 0 degree offset and some 265/75 Coopers or Mickey Thompsons. Planning on a 2inch lift but it wont happen straight away. My main concern is this combo with the auto gearbox and whether or not it will require a 'crispmods' type retune so it shifts correctly. Should I be looking at a 31/10.5/15 tyre/wheel combo instead. 265-75-16 is 31.6 inch's, slightly larger than standard. I run 265-70-16 which is equal to standard, 30.6 inch. The 75 profile that your looking at will have a marginal effect on performance and the auto box but should not be too bad. Here is a link to a tire size calculator http://www.miata.net/garage/tirecalc.html there are heaps of them on the net. I really find this site quite useful because you can compare tire sizes side by side with the speed correction as well.